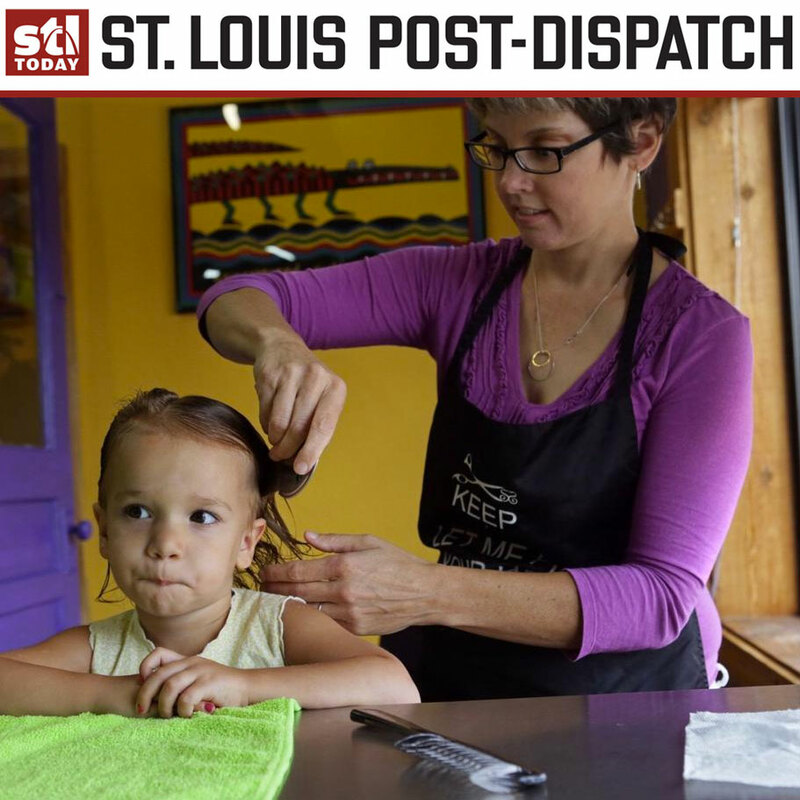 "New super strain of lice puts area schools in scratchy situation," reads the headline of the August 2015 article in the St. Louis Post-Dispatch. The article describes how Lice Busters and owner Libby Lutz lead the way in helping families fight back. "At Lutz’s treatment center, an inviting, salon-like space decorated with bright colors, they sat down for a heat treatment and comb-out with specialized equipment and nontoxic products. One of the girls was doing her reading homework during the process. Her dad cleaned out the vehicles with a hand vacuum provided by Lutz to make sure they were bug-free. Then he made work calls. The business offers Wi-Fi for customers while they are being treated or waiting for family members."